Berry season always seems to end too soon. 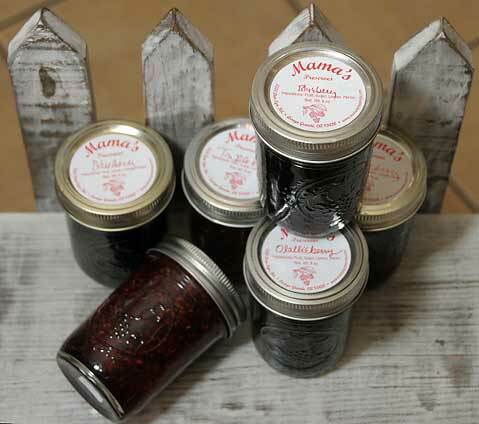 Farmer Lori “Mama” Heal created Mama’s Preserves, 17 flavors of jams and jellies made with super-fresh, perfectly ready berries and fruits from her Arroyo Grande farm. Standards like strawberry or raspberry jam are intensely flavored when the fruit is picked ripe and chopped fine, skins and all, and simmered with not too much sugar. For something different, try jalape±o, blueberry peach, pear, or rosemary mint. Santa Barbara’s Burger Bus uses one of Mama’s Preserves seasonal blends in its trademarked CB&J (cheeseburger and jelly); Mama’s even makes a custom haba±ero jelly for the Burger Bus that you won’t find anywhere else. Find Mama’s Preserves at the Farmers Market on Tuesday, Friday, or Saturday; at C’est Cheese; or online at mamaspreserves.com.